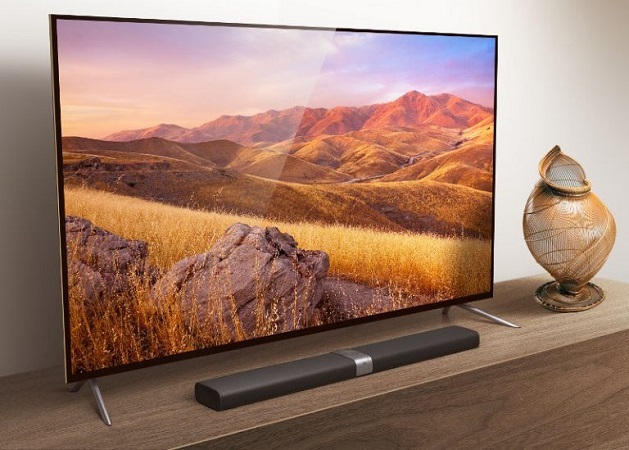 Keeping with the latest trend for Smart TVs, Xiaomi has now launched the Mi TV 3s 4K Smart TVs alongside the newly launched Mi 5s and Mi 5s Plus. Xiaomi has announced the launch of the Mi TV 3s 4K Smart TV, which would be available in 55 inch and 65 inch variants. The TVs have a 178-degree viewing angle with a 9.9 mm slim frame. The 55 inch variant uses a LG display whereas the 65 inch variant uses a Samsung display. The Mi TV 3s 4K Smart TVs have a 4K display with 178-degree viewing angle, 8 ms dynamic response,5000: 1 contrast ratio, over 85% NTSC color gamut. They are powered by a quad-core Amlogic processor. The standard version of the Mi TV 3S 55 inch variant is priced at 3499 Yuan (approx. Rs. 35000), while the 65 inch variant is priced at 4999 Yuan (approx. Rs. 50000). The Home Theatre version is priced at 5999 Yuan (approx. Rs. 60000).